The Marine Corps Green Poly/Wool Trousers have a hook-slide fastened front, two hip pockets and back pockets with pointed flaps and button closures and 2 1/4" long drop belt loops. 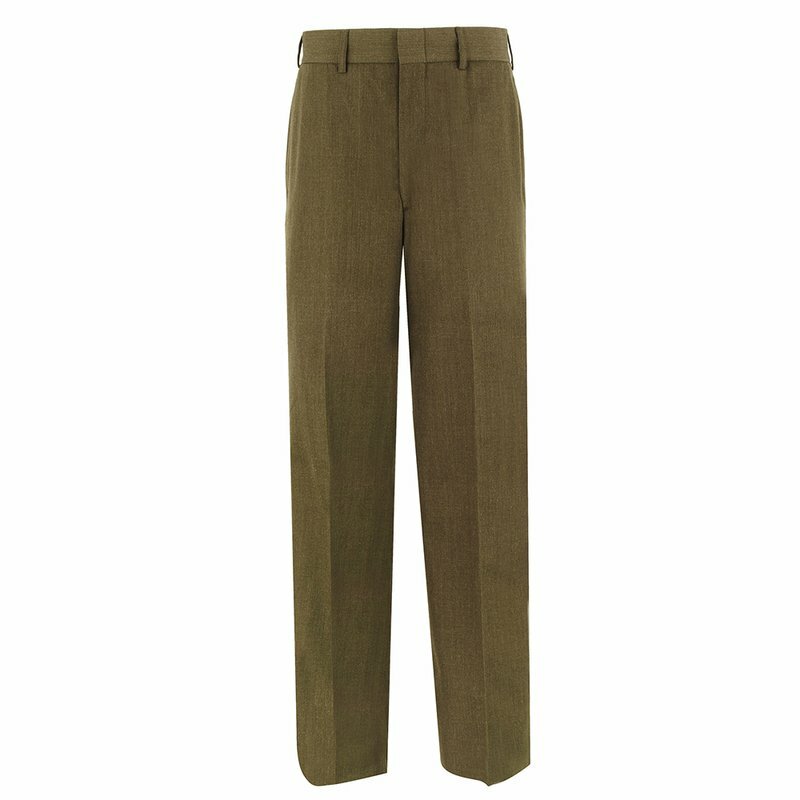 The Marine Corps Green Poly/Wool Trouser is required for officers and enlisted personnel. These are used for most formal occasions where the dress uniform is not required. Among the times where the service uniform "A" (Alpha) is worn for official visits and calls on American and foreign dignitaries, officials and military officers, visiting the White House, serving a court-martial and reporting for duty on-shore.